Providing the best in natural health solutions since 1985. Click below to request an appointment for your complimentary health analysis. Contact us if you want to stop suffering and restore your health. Tired Of Suffering From Pain, Illness, Or A Chronic Condition? We Specialize In Natural Solutions For Pain, Chronic Problems & Metabolic Disease! I Would Like To Welcome You To Integrative Hospital Associates! 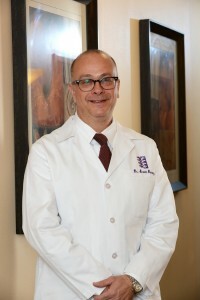 My experience as a former head of acupuncture at Holy Cross Hospital's Feldman Center for Optimal Health and a Past President of the Academy of Integrative Pain Management, has allowed me to provide health care at a higher level, with superior service to patients who require both western and eastern forms of medicine. Past President of the Academy of Integrative Pain Management, has allowed me to provide health care at a higher level, with superior service to patients who require both western and eastern forms of medicine. With over 30 years of clinical experience practicing acupuncture, oriental medicine, chiropractic, herbs, functional medicine, and other forms of natural healing, I have been able to help patients with many types of acute and chronic health conditions where others may have failed. With my extensive educational background and clinical experience, I am confident that I can provide you solutions to your health problems. I offer painless treatments such as acupuncture, manual treatment of the joints, laser therapies, regenerative medicine, and proprietary treatments which are EXCLUSIVE to my practice. I look forward to helping you! We are the first South Florida pain practice specializing in MLS Laser with thousands of treatments performed. Ozone therapy is a unique treatment that both detoxifies and heals the body. Acupuncture is one of the most popular treatments in the United States, and is an integrative medicine unto itself. We can help you improve your health, achieve your weight loss goals, and reduce your health risks. Spinal decompression is a non-surgical technique that reduces pressure on the discs that rest between the vertebrae.